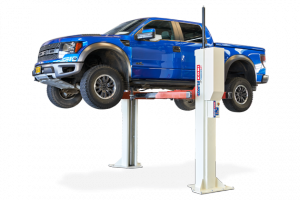 Stertil-Koni’s FREEDOM LIFT combines peak performance and safety through a symmetrical, open floor design that optimizes workspace in the shop. Engineered to lift a broad range of light-to-medium duty vehicles with capacities ranging from 16,000 lbs. to 30,000 lbs. It also features single and double telescopic arms. Extended flex arms are also available for maximum flexibility.